We offer 35mm Black and White negative film scanning at prices which are amongst the cheapest in the UK. All scanning is done on commercial grade Noritsu technology (shown below), representing an investment in excess of £100,000. The system is designed for high speed scanning while still producing consistent high quality results. 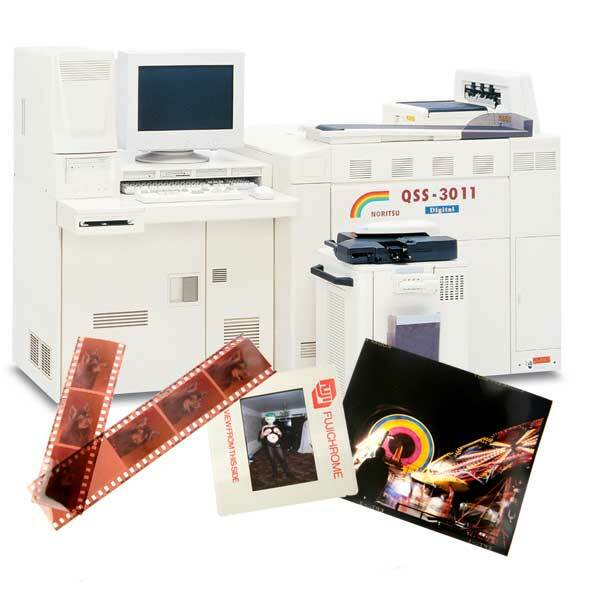 We are part of the Kodak Express group were quality and superlative customer service comes as standard. From our studios in central London, we offer our specialist scanning services across the whole of the UK. No matter how many negatives you send us, each frame is individually assessed by an experienced technician and adjustments are made to optimise the resulting scan. The adjustments we make are mainly to correct brightness and contrast. The infrared system that we use to detect and remove the dust and scratches on the film surface does not function on black and white films. So the scratches and dust marks will remain on the image after scanning. Before scanning, we make sure that the equipment and film is as dust free as it can possible be but inevitably, dust, scratches and other artifacts will be seen on the scans, especially at higher magnification. Clients should be aware of this as a condition of putting work in with us and should also be prepared to photoshop these Black and white scans as required. To avoid such retouching work in photoshop it is possible to get drum scans of BW negatives from professional labs such as Metro. However, the cost of a drum scan of a single frame ranges between £35 and £70 (in London) - it's your choice!